Rise in sea levels is one of the most damaging impacts of climate change. Thus, it becomes imperative to understand how quickly it will rise in the future. Now a new study has disentangled the role played by a volcanic eruption of Mt. Pinatubo in Philippines in 1991, on the trends in global mean sea level. 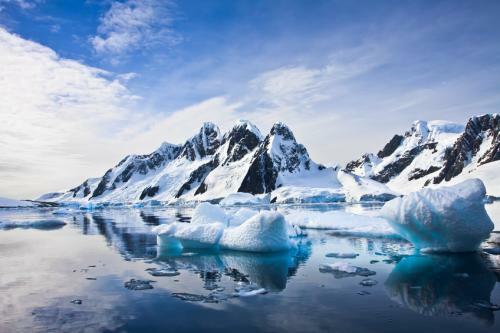 Led by the National Center for Atmospheric Research (NCAR), the study shows that calculations in the sea level rise acceleration were distorted because of happenstance timing. Because the records began soon after the eruption, its impact was concealed. The eruption temporarily cooled the planet, causing sea levels to drop by about 6 millimeters immediately before an international satellite mission, TOPEX/Poseidon began recording observations in late 1992. “This study shows that large volcanic eruptions can significantly impact the satellite record of global average sea level change,” said study co-author Steve Nerem, University of Colorado Boulder. Analysis of the relatively short satellite record did not show the increase in the rate of sea level rise expected with the acceleration in the pace of warming and melting in recent decades. The new study, thus, also lends support to climate model projections, which show the rate of sea level rise escalating over time as the climate warms. Fasullo also said that the study is a great example of how computer models can give historical context, which is needed to understand the findings of the satellite record. Understanding whether the rate of sea level rise is accelerating or remaining constant is important because it drastically changes what sea levels might look like in 20, 50, or 100 years. The study can also help coastal communities as planners have to devise future plans on the basis of the steady rate of sea level rise or the accelerated rate expected in future. The findings were published yesterday in the open-access Nature journal Scientific Reports. The study was funded by NASA, the U.S. Department of Energy, and the National Science Foundation, which is NCAR's sponsor.